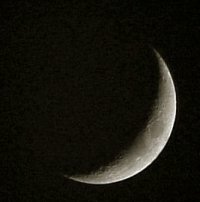 Is there an "Alien Base" on the Moon? More and more people are coming forward with stories that might prove this is true. Rumors say that there is an Alien Moon Base on the far side of the moon, the side we never see from Earth. It does seem like a better and easier idea than a floating space station with no access to any raw materials or supplies. According to the NASA Astronaut Neil Armstrong the aliens have a base on the Moon and told us in no uncertain terms to get off and stay off the Moon! Milton Cooper, a Naval Intelligence Officer tells us that not only does the Alien Moon Base exist but the U.S. Naval Intelligence Community refers to the Alien Moon Base as "Luna," that there is a huge mining operation going on there, and that is where the aliens keep their huge mother ships while the trips to Earth are made in smaller "flying saucers". from the Book "Above Top Secret"
LUNA: The Alien base on the far side of the Moon. It was seen and filmed by the Apollo astronauts. A base, a mining operation using very large machines, and the very large alien craft described in sighting reports as mother ships exist there. 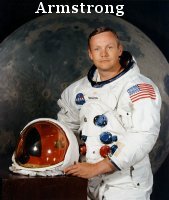 According to hitherto unconfirmed reports, both Neil Armstrong and Edwin "Buzz" Aldrin saw UFOs shortly after their historic landing on the Moon in Apollo 11 on 21 July 1969. I remember hearing one of the astronauts refer to a "light" in or on a carter during the television transmission, followed by a request from mission control for further information. Nothing more was heard. In 1979, Maurice Chatelain, former chief of NASA Communications Systems confirmed that Armstrong had indeed reported seeing two UFOs on the rim of a crater. Soviet scientists were allegedly the first to confirm the incident. "According to our information, the encounter was reported immediately after the landing of the module," said Dr. Vladimir Azhazha, a physicist and Professor of Mathematics at Moscow University. "Neil Armstrong relayed the message to Mission Control that two large, mysterious objects were watching them after having landed near the moon module. But his message was never heard by the public-because NASA censored it. " 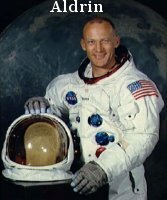 According to another Soviet scientist, Dr. Aleksandr Kazantsev, Buzz Aldrin took color movie film of the UFOs from inside the module, and continued filming them after he and Armstrong went outside. Dr. Azhazha claims that the UFOs departed minutes after the astronauts came out on to the lunar surface. Maurice Chatelain also confirmed that Apollo 11's radio transmissions were interrupted on several occasions in order to hide the news from the public. 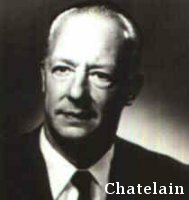 Before dismissing Chatelain's sensational claims, it is worth noting his impressive background in the aerospace industry and space program. His first job after moving from France was as an electronics engineer with Convair, specializing in telecommunications, telemetry, and radar. In 1959 he was in charge of an electromagnetic research group, developing new radar and telecommunications systems for Ryan. One of his eleven patents was an automatic flights to the Moon. Later, at North American Aviation, Chatelain was offered the job of designing and building the Apollo communications and data-processing systems. "all Apollo and Gemini flights were followed, both at a distance and sometimes also quite closely, by space vehicles of extraterrestrial origin-flying saucers, or UFOs, if you want to call them by that name. Every time it occurred, the astronauts informed Mission Control, who then ordered absolute silence." "I think that Walter Schirra aboard Mercury 8 was the first of the astronauts to use the code name 'Santa Claus' to indicate the presence of flying saucers next to space capsules. However, his announcements were barely noticed by the general public. NASA may well be a civilian agency, but many of its programs are funded by the defense budget and most of the astronauts are subject to military security regulations. Apart from the fact that the National Security Agency screens all films and probably radio communications as well. We have the statements by Otto Binder, Dr. Garry Henderson and Maurice Chatelain that the astronauts were under strict orders not to discuss their sightings. And Gordon Cooper has testified to a United Nations committee that one of the astronauts actually witnessed a UFO on the ground. If there is no secrecy, why has this sighting not been made public? Armstrong: It was incredible, of course we had always known there was a possibility, the fact is, we were warned off! (by the Aliens) There was never any question then of a space station or a moon city. Armstrong: I can't go into details, except to say that their ships were far superior to ours both in size and technology. Boy, were they big!... and menacing! No, there is no question of a space station. Armstrong: Naturally. NASA was committed at that time, and couldn't risk panic on Earth. But it really was a quick scoop and back again. 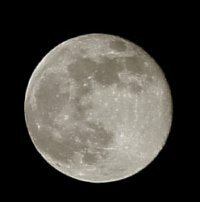 More information in Cities Found on the Moon! If Buratti is right, such impacts may be more frequent than thought-about once every 30 years on the Earth, and every 500 years on the Moon. But other asteroid watchers think the flash was due to a small meteor burning up in Earth's atmosphere. Amateur astronomer Leon Stuart's 1953 photograph of the Moon shows a light spot near the centre of the Moon's visible surface. It would take a half-megaton explosion to produce such a flash, says Buratti, of NASA's Jet Propulsion Laboratory at Pasadena. The resulting crater would not be visible from Earth, but it should appear on close-ups taken by lunar probes. 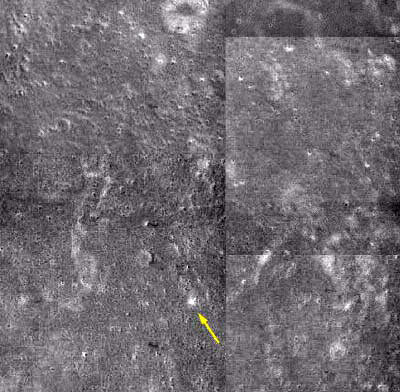 In a future issue of the journal Icarus, Buratti reports a fresh impact scar at the site of the 1953 flash on images collected by the Clementine spacecraft as it orbited the Moon in 1994. A bright blanket of ejected material covers an area that is about 1.5 kilometers across, and the color of the debris indicates that the crater is relatively new. "I think they are going too far," he told New Scientist. Instead, he believes that the flash was a meteor falling to Earth, which appeared as a bright spot because it was moving directly towards the observer. Although such "point meteors" are rare, they are much more common than lunar impacts. He is not impressed by the crater's appearance. "We have no absolute criteria" for the age of lunar craters, he says. "'Fresh' could be 20 million years old." Buratti calls Brown's claim "preposterous". She says Stuart was an experienced observer, his half-second exposure shows no trace of motion, and the flash was near a point on the leading edge of the Moon where impacts are most likely. "Our identification of the crater validates Stuart's claim that it was an impact."